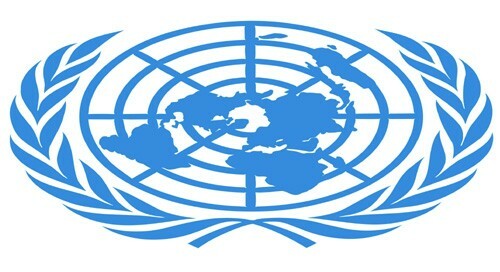 Nairobi, March 9 (IANS) The United Nations, tech giants and the finance, policy and and science fraternities on Saturday teamed up to push the use of cutting-edge technology to create cleaner, greener and more efficient solutions to sustainable development. Around 2,000 people, including representatives from IBM, Google and Barclays, attended the 2nd global session of the UN Science-Policy-Business Forum here in the run-up to the fourth UN Environment Assembly, beginning on March 11. The forum launched initiatives on using big data, machine learning and green technology startups to solve major environmental, economic and social problems, said UN Environment, the leading global environmental authority. The forum also launched works on sustainable cities, food systems and private sector leadership on climate change. "There is no doubt that rapid technological advancement played a major part in the troubles we face," said an official statement quoting UN Environment acting Executive Director Joyce Msuya. "But it is that technology -- through humanity's ability to invent and innovate -- which can help to save us. The 4th Industrial Revolution offers a real opportunity to create cleaner, greener and more efficient solutions to sustainable development," the statement said. The working group aims to build an open-source platform for big data on environment and explore new spaces in artificial intelligence and machine learning. It unites tech giants, earth observation institutions, science and policy communities, green tech startups, citizen scientists and the worlds of finance and industry. "We can't ensure implementation of the 2030 agenda without concrete data, which allows us to identify opportunities, ensure evidence-based decision making, direct investment and track progress," said Siim Kiisler, President of the UN Environment Assembly and Minister of Environment in Estonia. "I am confident that we will make immense progress," Kiisler said. Meanwhile, the Green Technology Startup Hub will act as an accelerator and incubator of startup innovation for environment, as it examines the enabling policies and actions required to use such innovation to transform the world into greener and more sustainable living. Startups are not only transforming markets and economic growth, some are also helping to save the planet. Venture capital investment in startups has surged to its highest level ever -- $148 billion in the last year alone. More than 40 venture capital-backed companies have achieved billion-dollar valuations. Other new work areas under the forum will cover sustainable cities and food systems and private sector leadership on climate change.